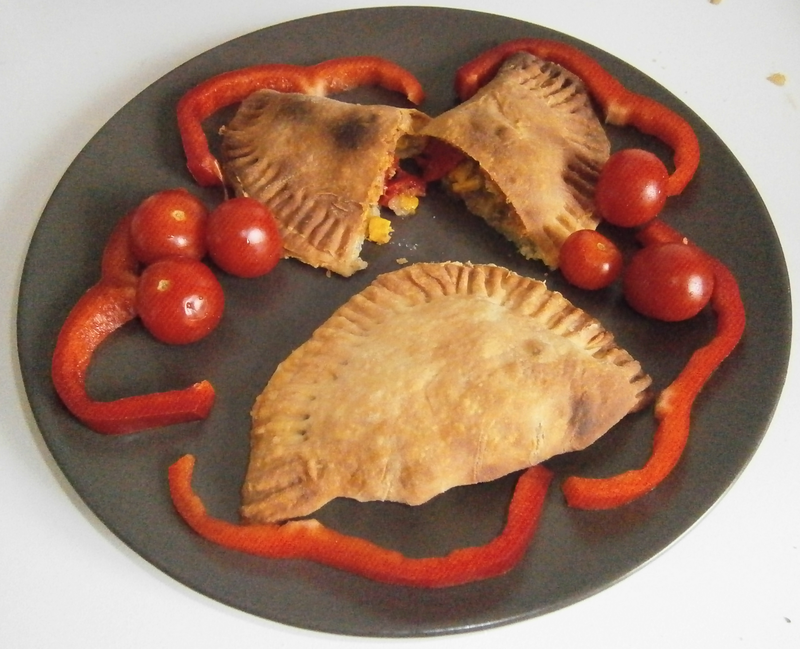 Let’s now travel to Argentina with a recipe that I learnt directly from an Argentinean friend. For those who wouldn’t know what it is, it is a kind of shortcrust that is stuffed. There are several ways to stuff them, so I will first explain the stuff that I made today, then some variations. 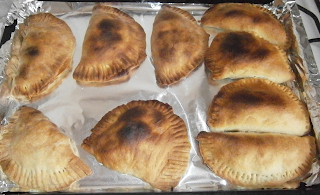 It looks a lot like shortcrust, and it’s important to make it well, otherwise you will have a hard time stuffing. It must be slightly elastic so that it won’t break. Melt the butter with the water in the microwaves. Then, add the egg and the salt. 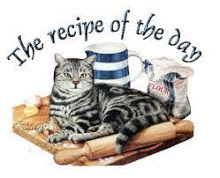 Mix with a fork and add progressively the flour until you get a ball that no longer sticks to the fingers. Then, abandon the fork and finish with the hands to have a ball looking like the photo, and let it rest until the stuffing is ready. Choclo simply means corn in Argentinean Spanish. Chop the onion, cut the bell pepper in dices. Brown the onion in some oil in a sauce pan, then add the vegetables, salt, pepper, the corn starch and some flour. You can also perfume it with mixed herbs. Mix it well, let it thicken a bit, and remove from the fire. Spread the crust, (not too thin, otherwise it will tear), cut circles with an upside bowl. Put some stuffing on the half of the circle and close the empanada. Join the 2 sides with the teeth of a fork. Bake 30 min at 180°. What to drink with the empanadas? (Alright, apart from an Argentinean wine). The mate is a bit more original. It is the Argentinean way to drink tea. It’s quite bitter, so the sensible ones may pass! How does it work? 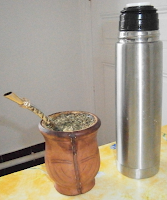 You fill the bottle gourd (called mate) with yerba mate, special tea leaves. The metallic "straw" is pierced on the bottom, so that you can drink without swallowing the leaves. You pour the hot water little by little, and here you go. This drink is ideal when it gets hot: did you know that when it is warm, the best to quench one’s thirst is to drink warm drinks!!! To finish my story telling, let me explain how it is drunk: the one who offers the mate drinks the first round (the bitterest part! ), then fills it again and gives the mate to his neighbour. It’s great on the beach (even if the said beach is stuck on the north of Germany and is not exactly the Pacific ocean, some imagination does the trick). And as for the good points, it’s a great drink for the health, no sugar but a lot of antioxidants and some more. And as I bought it organic, no pesticides (or I hope so!!). And yeah, you will get used to the bitterness. I've always wanted to try authentic Argentinean empanadas! They're the best! How to use an egg white?